Up to $2,500 in Savings! WHEN YOU BUY TUSCANY® SERIES, MONTECITO® SERIES, STYLE LINE® SERIES OR ALUMINUM SERIES WINDOWS AND PATIO DOORS NOW THROUGH MAY 15, 2016. Act Now! This Savings Event ends May 15th! Rebate is only available through participating Milgard Dealers.Rebate available on orders placed between April 1, 2016 and May 15, 2016. $20 per window rebate available on orders of 5 or more Style Line® Series or Aluminum Series windows. $25 per window rebate available on orders of 5 or more Tuscany® Series or Montecito® Series windows. 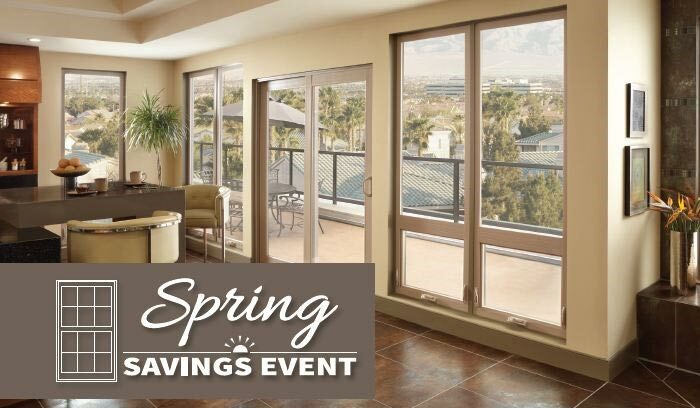 $50 rebate available on Style Line Series, Aluminum Series, Tuscany Series and Montecito Series patio doors when included in an order of 5 or more items. Does not include Premium Exterior Vinyl Finishes. Windows/doors must be delivered before rebate submittal. Rebate cannot be combined with any other offers or discounts. Rebate limited to homeowners only. Rights cannot be transferred. Not valid for dealers, contractors or builders. Offer only available to owners of single-family homes and is not applicable to multi-family homes, apartments, etc. To submit your claim, mail in your rebate form obtained from your Milgard Dealer by July 31, 2016. Milgard will validate your claim and send you a check for your qualifying purchase within 6-8 weeks upon receipt of your approved rebate submission. This offer is no longer valid if not fully redeemed by July 31, 2016.